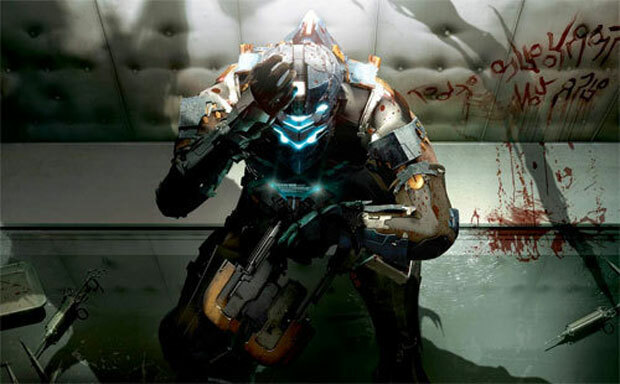 Things haven't gotten any better for engineer Isaac Clarke since his narrow escape in the first "Dead Space." In that game he battled hundreds of disgusting space zombies called Necromorphs on the planet-cracker ship Ishimura and managed to destroy the relic that was responsible for them, but the girlfriend he went there to save was dead before he ever arrived on the ship. Now, Isaac's slowly going fatally insane, thanks to the effects of the relic, and has been drugged into a coma and experimented on for three years in a secretive area of a massive space station. The mission statement for most horror sequels is to improve on their predecessors. Dead Space 2's greatest challenge, then, is to top the terrifying experience of playing the first Dead Space. This is no easy task when you consider that the original game left most players feeling drained by the time its credits rolled. It's even more difficult given that, to some degree, anyone who played through the first Dead Space knows what they're letting themselves in for. Newcomers to the franchise will likely be thrilled and terrified by the game, but is it possible for the developers to visit the same amount of horror on players who know the Dead Space terrain? Like the Bee Gees, this is where you come in. As Isaac, you'll pick up your plasma cutter, don an engineering suit and take the fight to the beasts out to kill you. 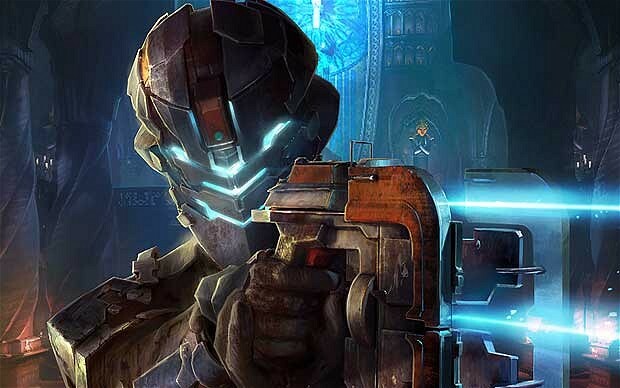 The overarching goal is to find and destroy the religious idol (known as the Marker) causing all of this, but the story that makes Dead Space 2 great is the internal war Isaac's fighting. Unlike Uncharted 's Nathan Drake who can kill a few hundred pirates and never seem worn down by it, Isaac is totally ruined by the events of the original Dead Space. He saw things no man should have to during his time on the spaceship USG Ishimura, but it's the fact that Isaac's girlfriend died on the vessel after he encouraged her to work there that really haunts him. Isaac's losing his mind in Dead Space 2. The guilt is tearing his very sanity apart. That's heavy stuff and it makes for a really engaging story. Isaac doesn't let anyone else in on the fact that he's coming unglued, so as a player I get to see who he really is and the facade he presents to the other characters. Isaac's internal conversations and hallucinations are among the favorite parts of this game. 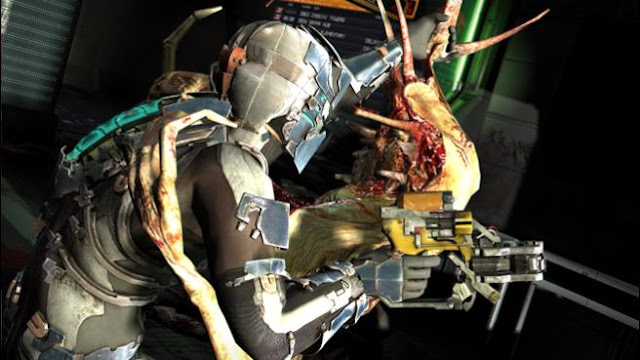 The Isaac Clarke of Dead Space 2 reacts to the world around him – for once it's not just the player screaming when a monster leaps out of a nearby vent – and his interactions with the game's other characters is less of a one-way affair. This doesn't make things easier – there isn't anyone Isaac comes into contact with who seems overly trustworthy, and Isaac's dementia throws the player the odd curveball – but it does prompt the player to care more about Isaac's fate this time round. Compared with the first Dead Space , there didn't seem to be as many "gotcha" moments that might have players jump out of their seat. 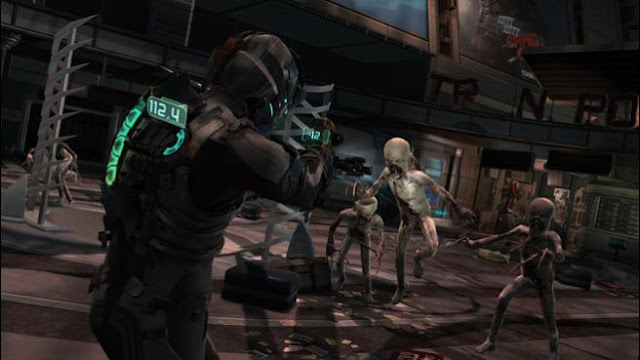 If you've played the first Dead Space, players should have a sense of what to expect in the sequel. For example, that "dead" Necromorph is going to pop up any time now to start chasing Isaac around. Also, players might spot that vent or other opening where an enemy will surely jump out from. Dead Space 2's gameplay keeps everything that worked from the first instalment and then builds upon it. Combat is a bloody, brutal affair which involves tactically dismembering opponents and always checking over one's shoulder. There's a healthy collection of weapons (or repurposed tools) to collect and players are advised to forage thoroughly for ammunition and health-packs, and to use what they have sparingly. They're also advised to stamp on any enemy they have felled – this prompts an item drop, and it's also a good idea to make sure they're dead anyway.